As the calendar turns to December and the cross country season winds down, that can only mean one thing: Track is back. Indoor season is upon us in Ohio and many athletes are either gearing up for competitions in January or have already thrown down some marks in the early going at the Tiffin University Series Meet #1, Dave's Running Sunday Series Meet #1, or Tiffin/Black Jack Holiday Classic. Over the next week, we will be breaking down the top returners in each gender in each division in Ohio in preparation of the ramping of meets next calendar year. 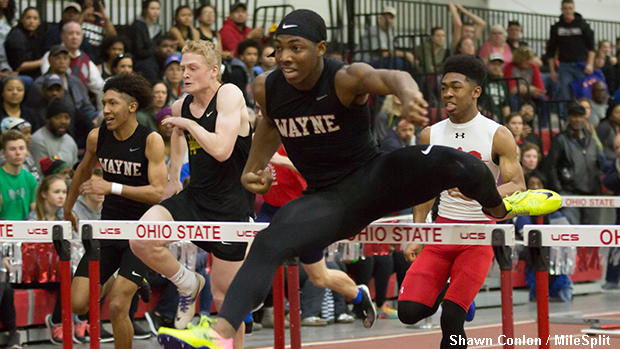 Our final preview looks at the movers and shakers in the Division 1 Boys events. Continue reading about the top returners and up and comers to look out for.